The Judicial Conduct Tribunal was scheduled to begin on Monday 2 July 2018. The Tribunal members and counsel convened at the Park Inn Hotel, in Sandton. Justices Bess Nkabinde and Chris Jafta were also present as they had made themselves available to be called as witnesses. Judge President Hlophe was not present. As the meeting convened the chairperson of the Tribunal, Judge Labuschagne, said that Tribunal member Judge Musi had a prepared statement to make. In his statement Judge Musi said that the Tribunal had received an urgent affidavit from Judge President Hlophe calling on Judge Musi to recuse himself due to some disparaging remarks he had allegedly made about Hlophe in 2017. Judge Musi denied these allegations but stated that in light of the circumstances he was recusing himself from the Tribunal. Judicial Conduct Tribunals are made up of three members, and as Judge Musi has recused himself, the Chief Justice will now have to appoint another judge to sit on the Tribunal. The Tribunal cannot continue until this new member is appointed. Judge Labuschagne has postponed the Tribunal sine die (which means that the date of the next hearing has yet to be determined). John Hlophe is the current Judge President of the Western Cape Division of the High Court. This makes him the most senior Judge in the Division. He was appointed to this position in 2000 and will remain the Judge President until he retires. Hlophe studied law at the University of Natal, the University of Fort Hare and Cambridge University. He taught law at the University of Transkei before being appointed to the bench. He was appointed as a judge in 1995 and, at the age of 36, was the first black judge to be permanently appointed to the Western Cape High Court. He was also the first full-time academic to be appointed as a High Court Judge. He was appointed as Judge President in 2000. In 2004 he wrote a report on racism in the Western Cape High Court and submitted it to Chief Justice Pius Langa. In this report he accused the then Deputy Judge President Jeanette Traverso of racism. He also accused certain white judges and leading members of the Cape Bar of racism in the 43-page report submitted to the Minister of Justice in November 2004. 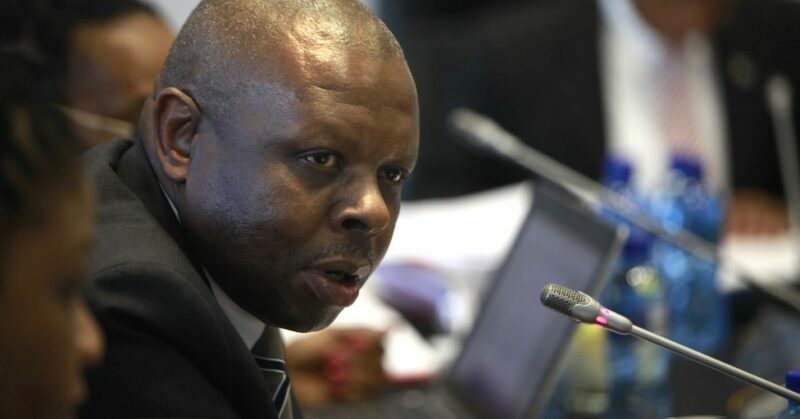 In June 2006, the JSC was asked to investigate complaints regarding a possible conflict of interest when Hlophe’s son received a bursary from a large Cape Town firm of attorneys, Smith Tabata Buchanan Boyes (STBB). Hlophe was later cleared of involvement and the complaint was dismissed by the JSC. In 2006 the JSC was also asked to investigate a complaint against Judge Hlophe regarding his relationship with the Oasis financial company from whom he had been receiving a monthly retainer of R10 000 per month. The complaint related to the ethics of judges receiving renumeration outside of their judicial duties. A further concern was that he had granted Oasis permission to sue Judge Siraj Desai. In 2008 judges of the Constitutional Court reported to the JSC that Judge Hlophe had approached two judges, namely Justice Nkabinde and Justice Jafta, and attempted to improperly influence them in a pending case regarding Jacob Zuma and the Thint company. This is the matter for which the Judicial Conduct Tribunal is being held. In 2017 Hlophe was the focus of a ‘searing’ Supreme Court of Appeal (SCA) judgment relating to his conduct in a matter involving the alleged theft of R48-million by a businessman. What is a Judicial Conduct Tribunal? When the Judicial Service Commission (JSC) receives a complaint regarding a judge that it considers serious it will form a Judicial Conduct Committee to assess the complaint. If the Judicial Conduct Committee finds that the complaint requires further investigation it will recommend to the JSC that a Judicial Conduct Tribunal is established in order to properly deal with the matter. A tribunal comprises two judges and a non−judicial member taken from a list approved by the Chief Justice (and with the Justice Minister’s approval). The tribunal enquires into the allegations and submits a report of its findings to the JSC. The respondent is entitled to attend the tribunal‘s hearing and to have legal representation. The Chief Justice has appointed Judge Labuschagne as President of this tribunal. For more details on this procedure you can read the Rules made in terms of Section 25(1) of the Judicial Service Commission Act, 1994 (Act No.9 of 1994), to regulate procedures before Judicial Conduct Tribunals. Judicial Conduct Tribunals are meant to form part of the ongoing development of the system of holding judges accountable, not just through their judgments being appealed, but through their conduct being held up to scrutiny by their peers. What is Judge Hlophe’s Tribunal about? In 2008 there was case before the Constitutional Court involving Jacob Zuma, who at that time had not yet become President of South Africa. This was a corruption case concerning Zuma and the arms company Thint, and their role in the multi-billion Rand arms deal. It is alleged that Judge President Hlophe approached Constitutional Court judges Bess Nkabinde and Chris Jafta and attempted to influence their decision in favour of Jacob Zuma in the case. The process has been dogged by a series of court cases over the past ten years. As the JSC set up process to try and deal with the complaint in a formal manner the constitutionality of these processes where challenged by various complainants on both sides of the issue. Following the initial lodging of a complaint against Hlophe in 2008, a sub-committee of the Judicial Service Commission (JSC), conducted a preliminary investigation into the complaint. After some preliminary postponements the JSC, by majority decision, refused a further postponement. Hlophe’s counsel asked to be excused on the basis that they could serve no useful purpose in the absence of their client and without instruction. The matter then proceeded in the absence of Judge Hlophe and his legal representatives. An urgent application by Hlophe to the South Gauteng High Court, Johannesburg, for an order declaring the entire proceedings of the JSC unlawful and therefore void ab initio was partly successful in that the court set aside the proceedings of 7 and 8 April 2009 and ordered that they were to commence de novo on a date suitable to the parties. The court could find no basis for a finding that the proceedings on 5 July 2008 were unlawful. After hearing the matter, the sub-committee’s report was sent to the JSC, who dismissed the complaints by a majority vote. This view was challenged in court by the NGO Freedom Under Law. They were successful in their appeal. The SCA and the Constitutional Court dismissed Judge President Hlophe’s appeal. Constitutional Court judges Jafta and Nkabinde challenged the JSC’s decision to hold a preliminary enquiry and set up the tribunal, as well as aspects of the procedures used for the misconduct hearing, saying it was important to get it right, although they denied wanting to stop the hearing altogether. Jafta and Nkabinde’s legal challenge went all the way to the Constitutional Court where it was again dismissed. Just when it seemed that the appeal process had been exhausted and that there was no further legal recourse which could be employed to cause a delay, the JSC had to attend to the matter of Judge Nkola Motata’s pending tribunal first before proceeding with the Judge Hlophe matter, because Judge Motata had also challenged the constitutionality of the disciplinary process. After Judge Motata’s legal challenge was unsuccessful, his Judicial Conduct Tribunal was held in January 2018. Can the public attend the Tribunal? [VENUE UPDATE] The Tribunal will be held at the Park Inn By Radisson Sandton, 118 Katherine St, Sandown, Johannesburg, 2196. Tribunals are generally closed to the public, although the Tribunal President may determine that all or part of the hearing can take place in public. The Judicial Conduct Tribunal for Judge Motata earlier this year was open to the media. We are requesting access to attend, record and live stream the Tribunal. Could this Tribunal lead to impeachment? If the Judicial Conduct Tribunal finds that sec 177(1)(a) of the Constitution should be invoked, then this could result in Judge President Hlophe being impeached. The findings of the Tribunal will go back to the JSC, who must decide on the next steps to have the judge impeached. In order for a judge to be impeached The National Assembly must vote for impeachment by a two thirds majority. Using Stalingrad tactics to delay justice. How does the JSC deal with complaints against Judges. Judges Jafta and Nkabinde call for a rescission in Hlophe decision. Judge challenges constitutionality of JSC Act. [15 April 2018] City Press: John Hlophe faces risk of impeachment. [8 October 2017] City Press: Judge Hlophe skirts conflict. [13 June 2017] Daily Maverick: Analysis: Time for Judge Hlophe to face the music. [11 June 2017] IOL: Judge Hlophe found to have ‘misdirected himself’ in personal lawyer’s case. [27 August 2016] Mail and Guardian: Eight years and 10 judges later: Concourt urges resolution to Judge Hlophe complaint. [26 August 2016] The Citizen: Hlophe gets his day in court. [2 December 2015] Mail and Guardian: Opinion: Justice delayed is justice denied. [3 October 2013] The Citizen: Hlophe tribunal to proceed. [29 September 2013] ENCA: Loved and hated: Who is John Hlophe? [5 June 2008] News 24 Archives: Should Hlophe step down? [30 May 2008] IOL: Did Hlophe try to influence Zuma decision? [5 June 2008] IOL: Full statement on Hlophe by Concourt judges. Mail and Guardian: John Hlophe. Rules made in terms of Section 25(1) of the Judicial Service Commission Act, 1994 (Act No.9 of 1994), to regulate procedures before Judicial Conduct Tribunals. Legal Instruments of the JSC.